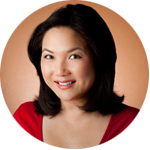 AAJA Sacramento chapter board member Lonnie Wong was named the recipient of the 2016 AAJA Lifetime Achievement Award for demonstrating courage and commitment to the principles of journalism over the course of a life’s work, as well as dedication to issues important to the Asian American and Pacific Islander community. 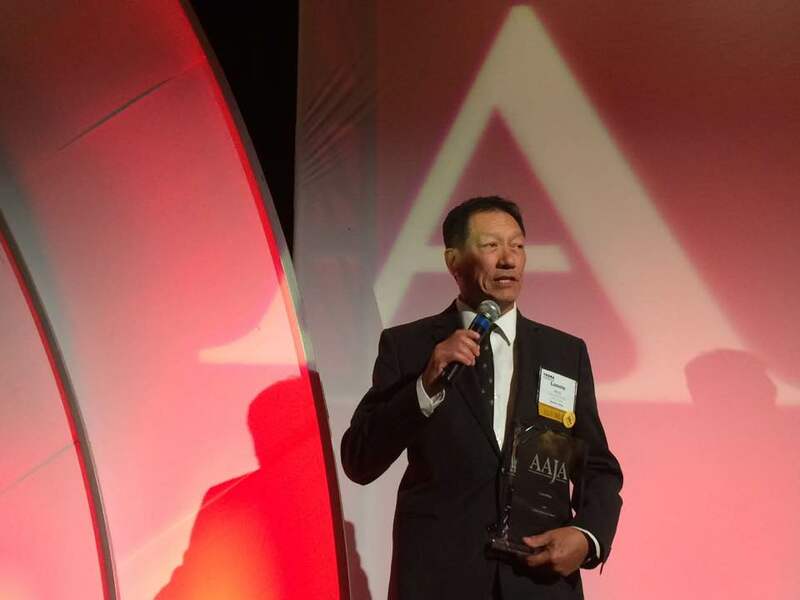 Lonnie received his award on Aug. 13 at the 2016 AAJA National Convention in Las Vegas at the Gala Awards & Scholarship Banquet. His commitment to journalism and the AAPI community are unparalleled. For more than three decades, Lonnie has been one of Sacramento’s most trusted and respected journalists. As an anchor, reporter, and host at FOX 40 (KTXL-TV), he has covered the issues that mattered the most to Northern Californians and the AAPI community. He is the longest tenured television journalist in Sacramento. His commitment to ethics, accuracy, and fair representation of all communities is second to none. 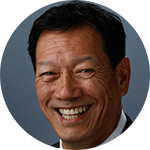 Lonnie is deeply committed to AAPI community in Sacramento, leading numerous AAPI organizations including AAJA Sacramento, which he helped found in 1985. He has served on the AAJA Sacramento chapter board for the entire time. At the local and national AAJA level, Lonnie has mentored journalism students too numerous to count. He helped develop the next generation of aspiring broadcast professionals, having served as the student television project coordinator for numerous AAJA conventions. He was on the planning committee for the 1999 UNITY convention in Seattle. A highly respected member of Sacramento’s AAPI community in Sacramento, Lonnie has had a tremendous impact on ensuring the AAPI voice is well represented in this region. He has founded and served on a variety of nonprofit community organizations. His dedication to the community is immeasurable since he emcees numerous community events, often using vacation time to do so. He has always gone about his professional and volunteer work with great humility and purpose. He is an unsung hero who never seeks to be the story. In partnership with The Sacramento Bee, AAJA Sacramento is sponsoring a 10-week internship program for aspiring print, photo, graphics and multimedia journalists. 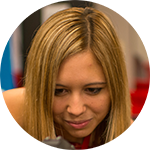 AAJA Sacramento is offering stipends to help members attend the AAJA National Convention, which will take place in Philadelphia July 27-29.